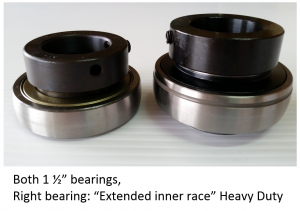 How do I know which bearings and bearing housings brand and type to buy? (There is over 50 different bearing and housing Company/Supplier brands sold in Australia) Once you got the bearing shaft size you want. 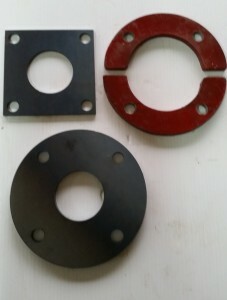 What about bearing thickness?, width?, type of oil seal?, is it tapered or acentric lock with collar? etc. Loxton Engineering use thicker bearing with better quality oil seals. Loxton Engineering use only reputable Brands and constantly keep checking for quality control. (There is over 50 different bearing and housing Company/Supplier brands sold in Australia) the same as above with Bearing housings there are different sizes, thickness, types, cast, steel, etc. Also different size bolt hole diameter in castings. Loxton Engineering use thicker bearing housings on their machines. A bolted round base plate is better than square plate in cut material when bolting on Square housings, less wear on plate, housing and bolts. 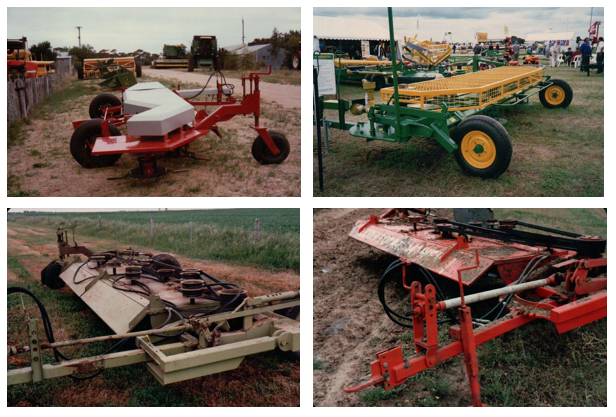 Loxton Engineering sell round plate or half round plates to either bolt or weld new round plate to existing barrel or frame to suit F209 & F208 bearing housings.